During the summer, when the beach rose bushes are filled with bright rose hips, one of my favorite things to make is rose hip jam. My young friends prefer rose hip jelly, but I the jam. It’s best to make on an overcast or otherwise beach-unfriendly day, only because it takes time. To make the jam you have to prep the hips, and cut each one open to remove the itchy sticky seeds that you don’t want those ending up in your jam. This is a marmalade-style jam, which includes an orange and a tart green apple for balance of flavor, and to provide the pectin in this recipe. Other than the orange and apple, there is no added pectin. As you prep the orange and apple, you save the seeds and core and place them in a muslin bag to be boiled with the rose hips and the fruit. Later you squeeze pectin out of the bag into the jam mixture. With this fruit provided pectin, the jam can be a little on the loose side. If you prefer a firm jam, you may want to add some commercial pectin to the mixture with the sugar. If this is your first time making a marmalade type jam without added pectin, please review the lemon marmalade recipe on this site for more detail on the process. This jam is somewhat of a marmalade jam, given the inclusion of the orange. It uses orange and grated apple to supply natural pectin, so you do not need to add commercial pectin to this recipe. 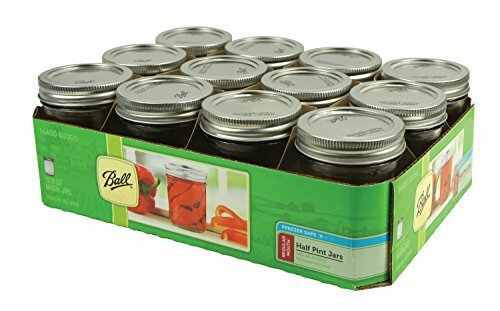 1 Prepare the canning jars: You'll need 6 to 7 half-pint canning jars and lids. Sterilize the jars by either running them through the dishwasher, right before canning, or placing them on a rack in a large pot of water that you bring to a boil for 10 minutes, or by placing them in a 200°F oven for 10 minutes. To sterilize the lids, bring a kettle of a couple cups of water to a boil. Place lids in a shallow bowl and pour the boiling water over them. 2 Prepare the rose hips: Cut away and discard the green scraggly ends. Cut the rose hips in half and scrape out and discard all of the seeds and thistle-y hairy bits. Rinse the rose hips and discard any bits that are blemished. Then roughly chop the rose hips. You will need 4 cups of clean, chopped rose hips. 3 Prep the orange: Cut off and discard the ends of the orange. Slice the orange lengthwise into wedges. Remove (and reserve) any seeds, and if you can, remove and reserve membranes. Take the wedges and cut each one of them so that you have a bunch of little triangles of orange. 4 Prep the apple: Peel the apple, reserving the peel. Then grate the apple with a cheese grater (large hole). Chop up the core and reserve. 5 Add fruit to pot, prepare cheesecloth bag of apple core, orange seeds for pectin: Place the chopped rose hips, grated apple, and chopped orange into a large (8-quart) wide pot. Add the lemon zest and lemon juice to the pot. Add the water to the pot. Take the apple core pieces, apple peel, and any orange seeds and membrane and place in a double layer of cheesecloth. (This will be a source of pectin.) Wrap them up and place in the pot with the chopped fruit and rose hips. 6 Boil until peels are very soft: Bring mixture to a hard boil for 30 minutes or so, or until the orange peels are very soft and can be easily cut through without resistance. 7 Squeeze pectin from cheesecloth bag: Remove from heat. Remove the cheesecloth pectin bag and place in a bowl to cool. Once cool enough to handle easily, gently squeeze the cheesecloth pouch to extract more of the pectin (it will be sort of gloppy). Add the extracted pectin-y juice back into the pan with the rose hips. 8 Add sugar, boil again: Measure out the sugar and add to the rose hip mixture. Heat to high, stirring with a wooden spoon until the sugar has all dissolved. Add butter (will help keep the foaming down). Bring to a rapid boil, uncovered, reduce heat to medium high. 9 Test for set: Place a small plate in your freezer. After about 25 minutes begin testing the jam by placing a small amount on the chilled plate. Allow 30 seconds to pass and then run your finger through it to see what the cooled consistency will be. Boil for a few minutes longer if desired for a thicker jam. Do not overcook or the mixture will caramelize and give you an odd taste. 10 Ladle into jars: Ladle the mixture into hot, sterilized canning jars. Wipe the rims of the jars clean with a dampened paper towel. Seal them with the sterilized lids, leaving 1/4 inch of headspace. 11 Process in water bath (optional) To ensure a good seal, and to guard against mold, if you want, you can process the jars in a water bath for 5 minutes (bacteria is already killed by the sugar). To process, place the jars on a rack in a large, tall stock pot. Cover with an inch of water and bring to a rolling boil for 5 minutes. Then turn off the heat, remove the jars from the water, and let cool. As the jars cool you should hear a popping sound as the lids seal. The lids should seal; if not, store in the refrigerator. Hello! All photos and content are copyright protected. Please do not use our photos without prior written permission. If you wish to republish this recipe, please rewrite the recipe in your own unique words and link back to Rose Hip Jam on Simply Recipes. Thank you! Can I use dried rosehips? Hi Jana, no, for this recipe only fresh will do. Oh man, I first saw this recipe on a Danish website, but it is soo much easier to read it in English rather than Danish! Hi Dorothy, you mean for jam? They need to be red. Can rose hips be used that have started to wizzle up. Hi Frances, I don’t recommend it. I had only 2 cups of chopped rosehips when I finished cleaning them, so I tried to halve the recipe. I used 1 medium orange and a small green apple and half a lemon which was all I had. I used 3 cups pf water and 2 1/2 cups of sugar. I did not need the butter as it did not get overly foamy. 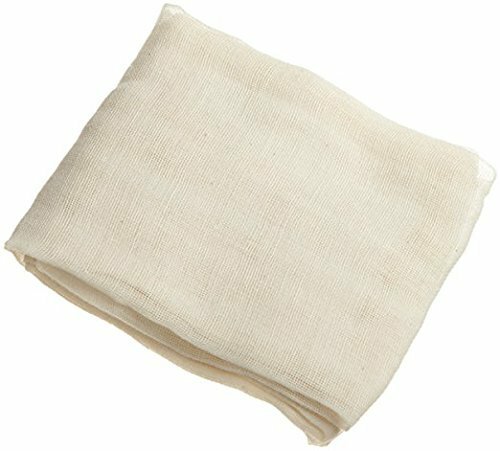 I did not have any cheesecloth so I used a small muslin bag and tied it with kite string. It worked great after a little trouble initially since I had to hold it under the mixture cause it kept floating on top. I cooked the jam an extra 5 minutes and it set up nicely. l recently had to hardily prune back some rose bushes for a plumber to access a split pipe and as the roses were no longer flowering and there were loads of rose hips l thought it was time to have a go at making rose hip jam.. yours was the first recipe l found so l am looking forward to giving it a try..now, l dont think l was able to get how ever many quarts you ask for in this recipe so l was wondering how to adapt the other ingredients for making less jam, oh, and by the way, l work in metric measurements…maybe once cleaned there might be 3cps of rose hips..l raided all the UN-pruned bushes as well..thanks for ytou help..oh and by the way, can l used packaged pectin instead of the fruit..l only ask this cause l dont think l have any muslin material to hand..l have the fruit, just need an alternative, though using some tea strainers do come to mind..
Hi Carol, with all of those variables, I don’t know what to tell you. You might try looking up the rose hip jelly recipe here on the site. That recipe uses added pectin and is much easier to make than the jam recipe. Good to hear from you Elise, next year when I hopefully will try this recipe again I will try for the hard boil. I felt that I had but it did say partially covered which I did, no doubt that would hinder the water from boiling away. With the new information I have received I will keep notes on this and as I say try again next year. I wondered if any type of green apple would do or does a specific one work better than others? The green apple should be tart, because the more tart, the more pectin in it. We use granny smith apples for this. Thank you so much Enda for your help and checking a recipe you use. I will make a note on my recipe to use 3 cups water to 2 quarts rosehips next year when I make it again, thanks again!! I knew the amount of water called for in the recipe could not be correct!! Hi Andrina, I’ve made several batches over several years of this jam using the ratios I’ve described in the recipe. The jam is loose. It doesn’t set firm like a commercial jam. There is no pectin in the rosehips, all of the pectin comes from using a large, tart green apple and from the chopped orange. The first boil would have boiled away a lot of the water. You need that extra water so that the fruit has something to cook in long enough to get soft. So, it sounds to me that perhaps your first boil wasn’t vigorous enough. Also, as I mentioned, it is a loose jam, not a firm jam. But it shouldn’t be watery. If it is, it’s because not enough of the water boiled away in the first boil. We tried your jam recipe last year and had great success, despite using what seemed like the world’s smallest rose hips – hips from wild roses growing along our city greenbelt. This year, we’ll pick larger hips!! The jam made a terrific holiday gift. So glad we found your recipe! On Sept. 10th past I tried the recipe for rosehip jam and was quite excited about it, thinking that most people make the jelly but thought I’d try the jam first. I wonder if I read the recipe correctly when it said to use 6 cups of water because my jam would not set!! I remade and added 2 pouches (170ml) of pectin but it was still runny. Today I remade it for the final time and added 2 small packets of raspberry Jello and finally it has set in the form of jam. I followed the instructions making sure I didn’t overcook as the recipe warned about the mixture caramelizing. Next year I will likely try rosehip jelly but was disappointed that this recipe had me remaking my jam twice as I didn’t want to throw it out. As I say I wonder about the amount of water called for as I’ve made other jams and never had this problem before. Thank you. Hi there, I just saw your question and I checked a recipe I use. Its in metric so after the conversions I see that it 6 cups of water for 4 quarts if rosehips to give 6 8 oz jars so you could be right in thinking there is too much water in this recipe.